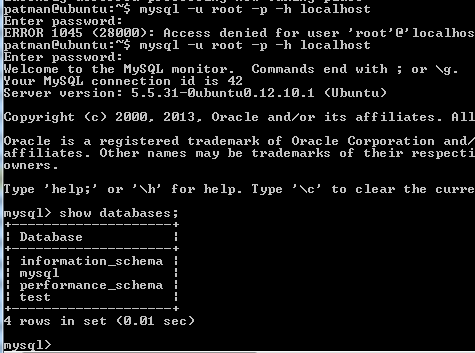 But now I am getting impressed with nginx I like the configuration files better and its overall faster than apache (or so I have been told). 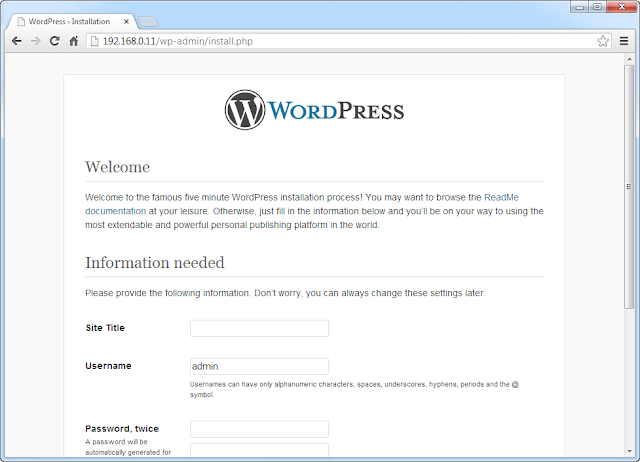 In this guide I am going to install wordpress, php, and nginx all on aUbuntu 12.10 server. 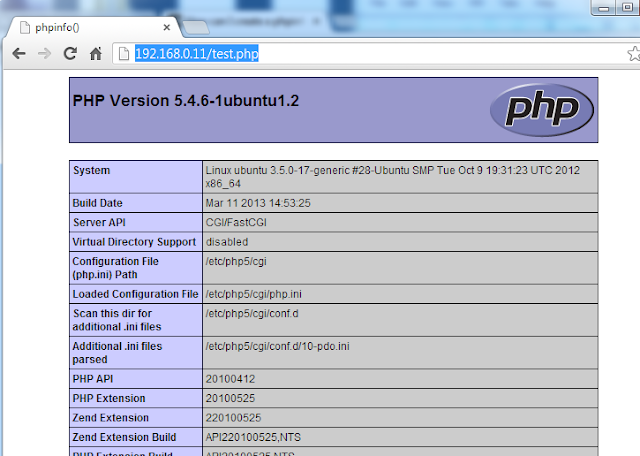 echo -n "Starting PHP FastCGI: "
echo -n "Stopping PHP FastCGI: "
Success! 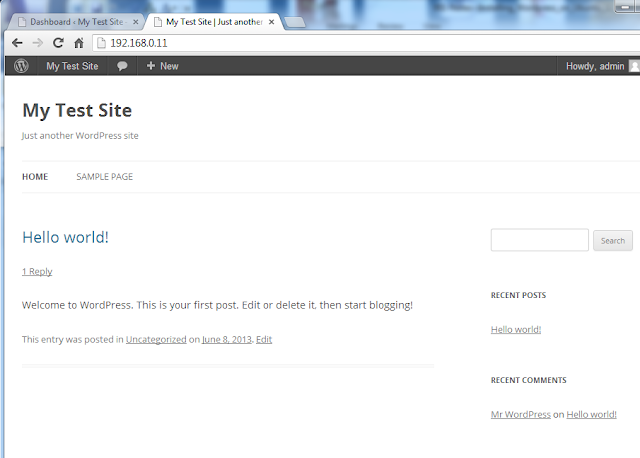 Well at least in as far as I proved nginx is running, I still need to test php. Success! 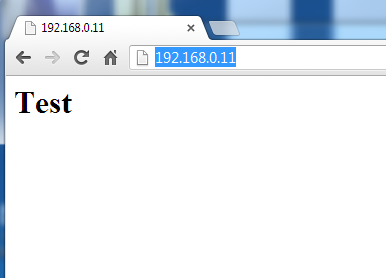 Nginx and fastCGI is working! 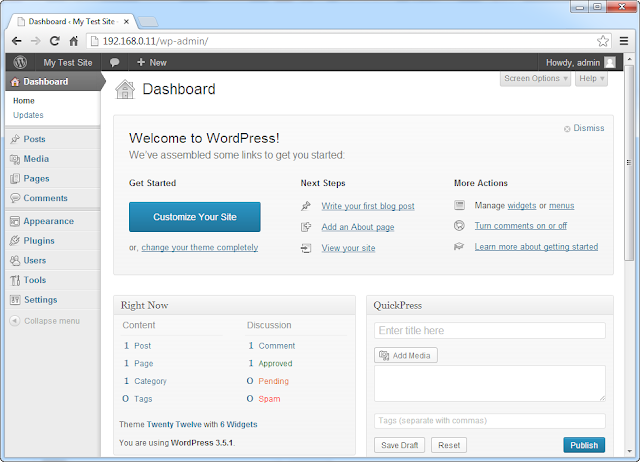 Now that nginx and fastCGI are working its time to get back to installing and setting up a wordpress site. > sudo mv wordpress/* . 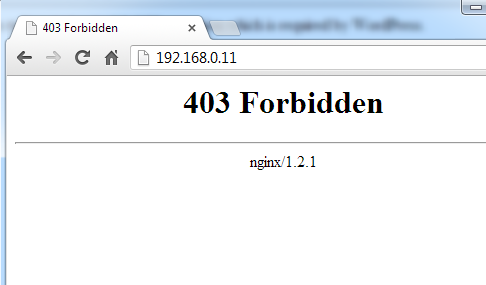 Oops I forgot to set up nginx to use index.php if it can't find index.html. 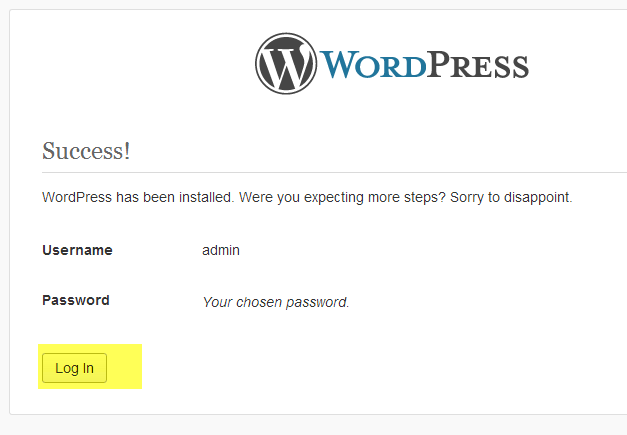 Here is the fix for that…. 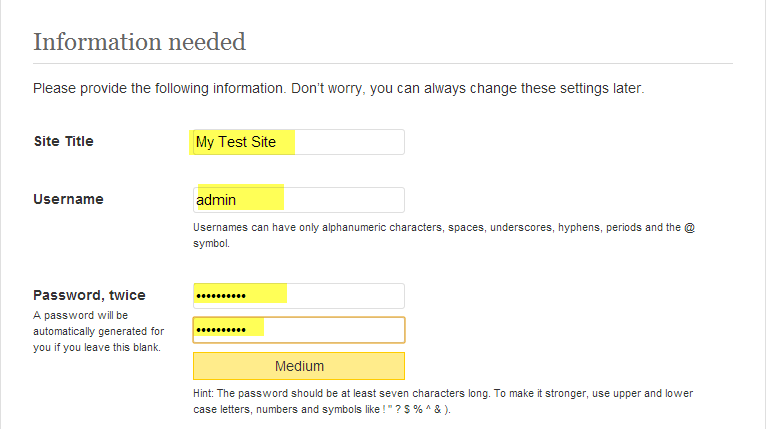 Enter a Site Tile, An admin username, in this case I put admin. 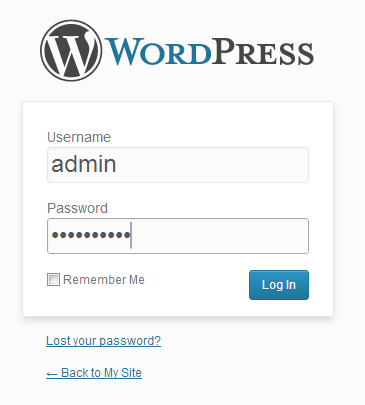 Enter the admin’s user name and password and click Log In. The Wordpress default web site appears. 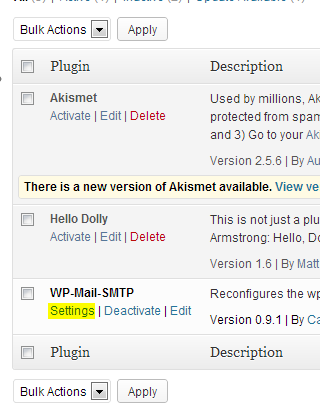 Now go customize your Wordpress and start adding your posts. 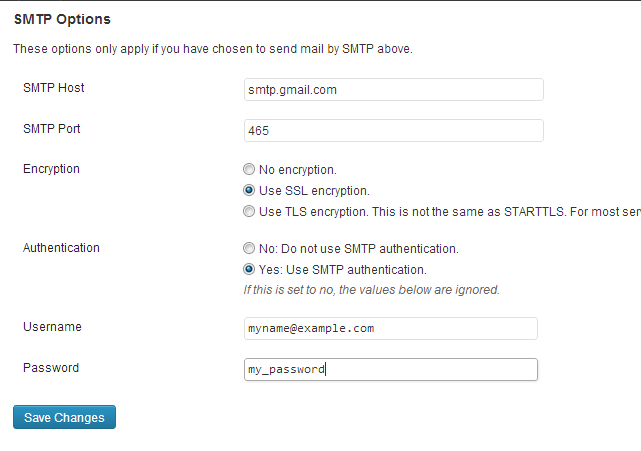 I like to install a SMTP email plugin to replace the default email behavior every time I do a new install of wordpress. 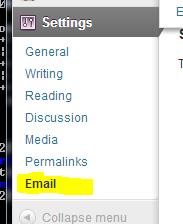 Here are my notes for doing just that. 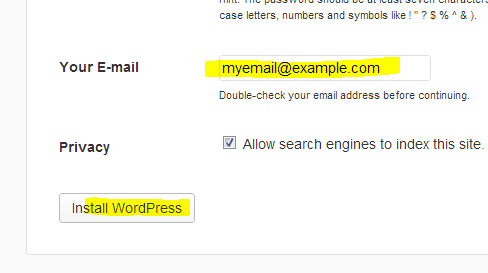 Enter your Email address and your From Name. 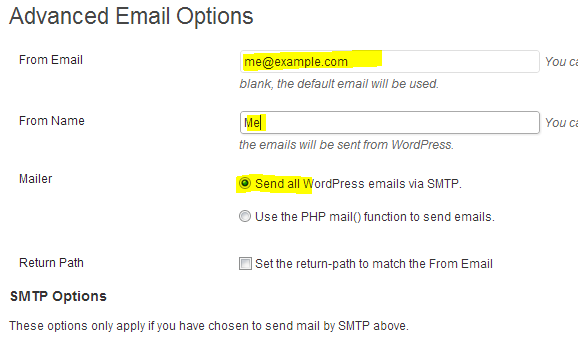 Make sure “Send All Wordpress emails via SMTP” is selected. 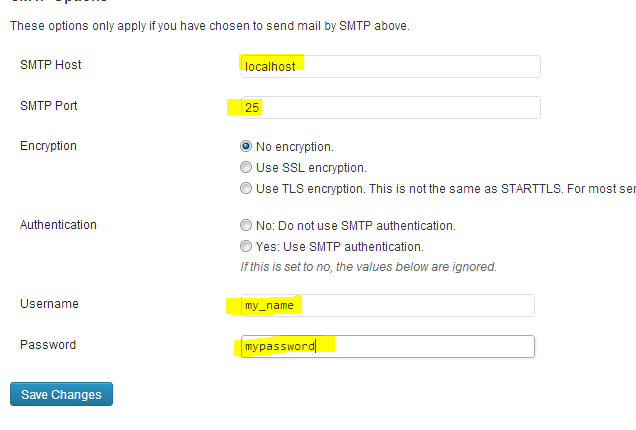 Enter your SMTP information, including your username and password. 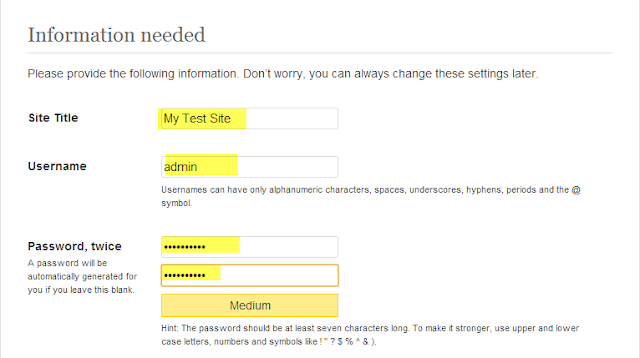 And here is the test email I received. Why is FastCGI /w Nginx so much faster than Apache /w mod_php?